The close to 3.3 million houses delivered by the government since 1994 include subsidised houses, rental accommodation, hostel upgrades and council houses where ownership was granted. How big is South Africa's housing backlog? How many houses has government built? And is a 'housing opportunity' always a house? We answer three frequently asked questions about housing delivery in South Africa. 1. How big is the housing backlog? In 1994, the housing white paper estimated that the urban housing backlog of 1.5 million units was increasing by 178 000 units a year as a result of population growth. These numbers excluded serviced plots of land and hostels that needed upgrading. More than 20 years on, Stats SA’s 2017 General Household Survey – the latest available edition – found that 2.2 million households lived in “makeshift structures not erected according to approved architectural plans, for example shacks or shanties in informal settlements or in backyards”. The number is close to the backlog of 2.1 million units quoted by the minister of human settlements, Nomaindiya Mfeketo, in 2018. 2. How many houses have been built since 1994? According to the department of human settlements, close to 3.3 million houses or units were built from the 1994/1995 financial year to December 2018. (The numbers for April to December 2018 are preliminary. 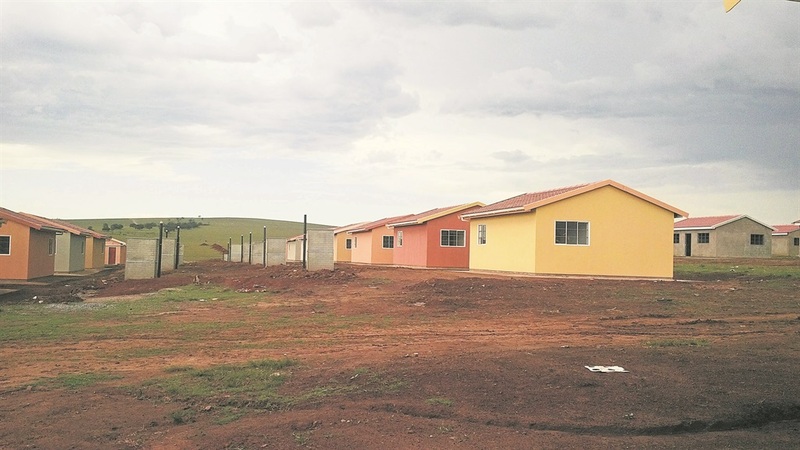 Houses built include subsidised houses, rental accommodation, hostel upgrades and council houses where ownership was granted, departmental spokesperson Xolani Xundu confirmed. 3. How many ‘housing opportunities’ have been delivered? The 3.3 million units built exclude serviced sites – plots of land supplied with water, electricity and sanitation – delivered since 1994. We asked Xundu if people would have to build their own dwellings on sites provided without a house. “The priority is to ensure that households living in informal settlements have access as soon as possible to at least basic services,” he said. “An increasing number of demarcated serviced stands are being allocated to families to occupy with their informal structures until the subsidy houses are built shortly thereafter. This also helps to prevent invasion of the project site by other (unapproved) persons. ”The number of units built also excludes housing delivered under the Enhanced Extended Discount Benefit Scheme (EEDBS). This “provides state subsidies to repair and/or rehabilitate and even demolish and rebuild, where necessary, government rental houses built before 1994 and then transfer houses into the ownership of legitimate occupants”. When referring to “housing opportunities” delivered, however, the department counts both EEDBS housing and serviced sites in addition to units built. Close to 4.8 million of these opportunities were delivered between 1994/1995 and December last year, figures from the department show.